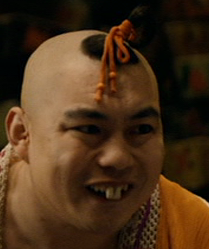 This week, our Aprils Fools check out a Chinese remake of a Coen brothers film and watch some horror TV. The Coen brothers' 1984 film Blood Simple was the inspiration for this movie, a Chinese remake that not only moves the story's location from Texas to China but also adds in some goofy, slapstick humor and takes it backwards in time a few hundred years, to the early days of the handgun. 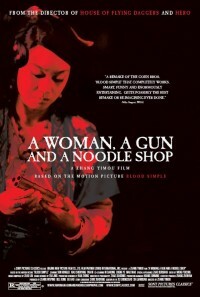 The film begins with the wife of a noodle shop owner buying a gun from traveller, fascinated by this weapon's ability to kill instantly. This woman is cheating on her abusive husband with one of his employees, and when a police officer informs the husband of this affair, he hires the officer to kill his wife and her lover. Things don't go as planned. 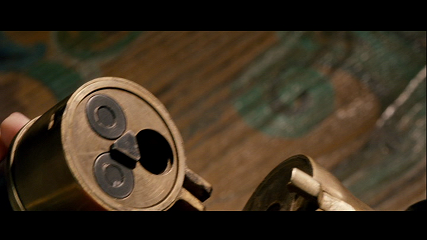 The same basic story as Blood Simple. This is an interesting curiosity of a film, worth giving a watch if you're familiar with Blood Simple just to see how the scenarios play out in this very different setting and style. 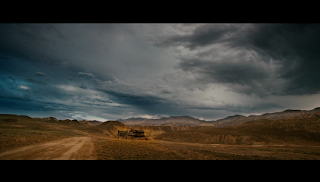 It's well-directed by Yimou Zhang with some gorgeous cinematography from Xiaoding Zhao. 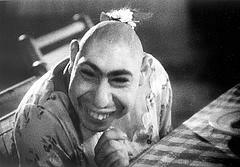 On a sidenote, one of the noodle shop workers really reminded me of Schlitzie the pinhead from Tod Browning's Freaks. Minnie Moore is down on love as her current abusive affair comes to an end. "Movies are a conspiracy," she says, as the kind of love and romance represented in them doesn't really exist. When a dinner date with a disturbed man turns violent, Minnie is saved by parking lot attendant Seymour Moskowitz. 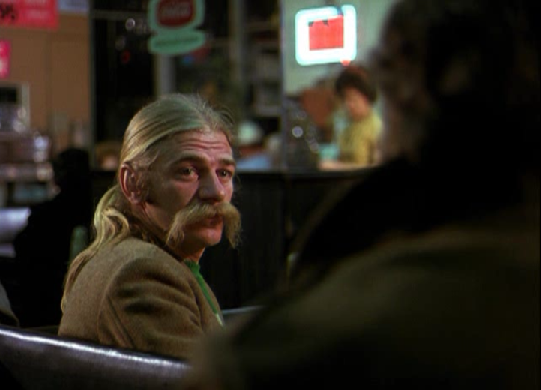 Moskowitz is a bit off himself and the ensuing relationship is strange and tumultuous, but he does care for Minnie more than anyone has before. Gena Rowlands and Seymour Cassel are great as the title characters, Cassel delivering his performance while rocking one of the most majestic mustaches ever committed to film. 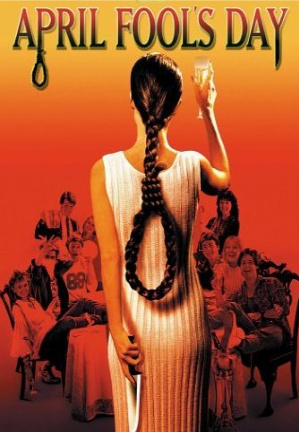 This is going up on April 1st, so I must remind everyone of today's required viewing: the 1986 film APRIL FOOL'S DAY, a tricky little slasher with one of the best assemblages of good young actors/fun, likeable characters a film like this could have. The cast of young adults in peril includes Amy Steel (Friday the 13th Part 2), Ken Olandt (Summer School), Clayton Rohner (Just One of the Guys), Thomas F. Wilson (Back to the Future), and a delightful double dose of Deborahs with Deborah Goodrich (also Just One of the Guys) and Deborah Foreman (Valley Girl). If you're really in an April Fooling mood, have a double feature with SLAUGHTER HIGH (1986), a goofy slasher starring The Spy Who Loved Me's beautiful villainous Bond girl Caroline Munro. If you were a kid growing up the 1990s then you probably remember this fun little show. I'm mentioning it now mainly because of nostalgia, and having recently rediscovered it, I've found it to be even more enjoyable now that I can clearly laugh at the show instead of cower in fear. 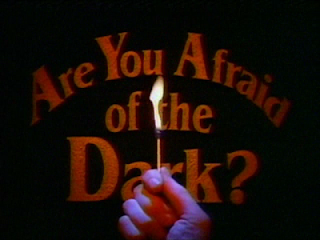 Are You Afraid of the Dark starts each episode with some teenagers gathering in the woods to tell ghost stories as part of a group they have formed called "The Midnight Society." While the opening credits may be the most frightening thing about the show now, it does possess some creepy moments/characters and some familiar faces show up in random episodes. Scream queen Neve Campbell of the Scream trilogy stars in one episode as does the very popular actor Jay Baruchel, among others, including Jewel Staite from the hit movie Serenity! If you were a fan of the show during the 1990s or think you might enjoy picking it up now then you can purchase certain episodes on DVD at Amazon.com. I believe the entire run is also available on DVD, but the Amazon prices are well over $100. If you're like me, you'll rewatch them from YouTube. Had to sneak in viewings of AYAotD because I wasn't allowed. Parents go out for a date > SNICK gets turned on > I get nightmares.